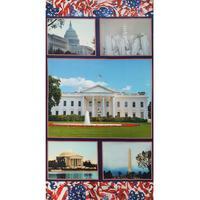 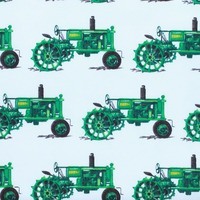 American Spirit digitally printed fabric. 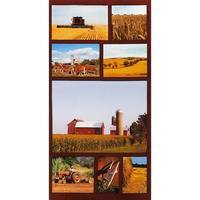 This 24-inch fabric panel features 7 blocks with images of farmlands. 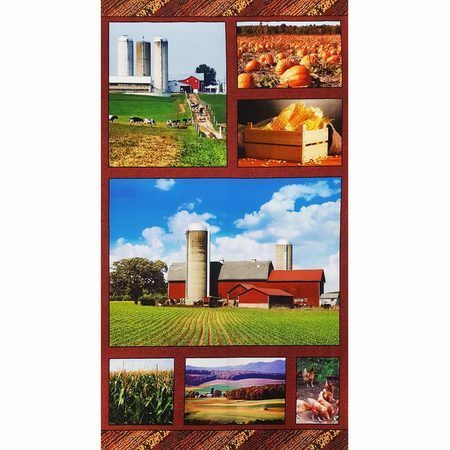 There are scenes of crops, cows, corn, and other American farming motifs. 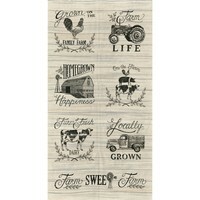 Cut these blocks apart to create individual wall hangings and quilts.